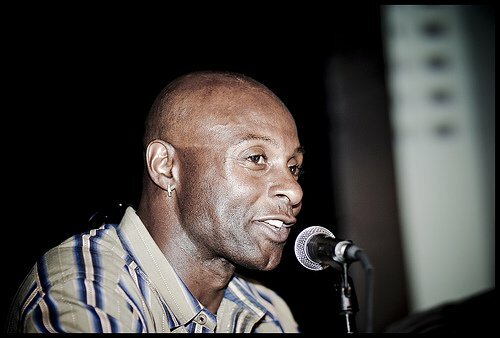 (Las Vegas) -- Legendary NFL wide-receiver and three-time Super Bowl champ Jerry Rice scored a touchdown among attendees at Parker Seminars Las Vegas - the world's largest chiropractic seminar - by sharing all the ways he is being a champion for chiropractic. He was joined onstage by fellow chiropractic supporter Linda Cohn, veteran sportscaster and one of the first women to report for ESPN. Both Rice and Cohn are spokespeople for the Foundation for Chiropractic, an organization dedicated to generating positive press for the chiropractic profession, and traveled to Parker Seminars to encourage chiropractors and their assistants to continue delivering natural, quality health care to patients around the globe. Thinking back to his football career, Rice credits his success on the field largely in part to chiropractic care. "If I had everything in alignment, I knew I could play my best football," said Rice. His training routine included twice-weekly chiropractic adjustments which helped his body recover from all the hard hits and countless tackles. Because Rice firmly believed in the benefits of chiropractic, his teammates began to favor this natural care over the medications that trainers traditionally give. "I wanted to set the standard within football," said Rice. "I knew if chiropractic helped me put up outstanding numbers, it could help my teammates do the same." 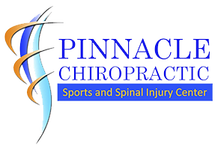 And Rice's accomplishments are indeed a testament to chiropractic: he was twice named the NFL Offensive Player of the Year, won three Super Bowls, and still holds nearly every record as a receiver. He retired as the league's career receiving leader. Rice was recently announced as a 2010 NFL Hall of Fame candidate. The Foundation for Chiropractic Progress (FCP) made its own version of a "Hall of Fame" induction by presenting Rice with a medal for his commitment to chiropractic. "The Foundation for Chiropractic is getting the word out there, and [being a spokesperson] is a way for me to give back," said Rice. "Chiropractic made football great for me. I was at my best and was always at 100 percent."